With Labor Day behind us and students back at school, we know that fall is officially here. We've rounded up some of our favorite Be in the Tree products to help you embrace autumn and bid summer goodbye. From our newly-released treehouse calendar, to cozy sweatshirts, to Pete's coloring book, we've got the best treehouse things for fall. Nothing says back-to-school like trading cards! These beauties are nostalgic. They're glossy. They're full of fun facts and terrific treehouses. And they come with a free gift inside each pack! These cards were designed with love in-house at our treehouse HQ and printed on environmentally responsible paper in Washington State. It’s that time of year again, if you can believe it! 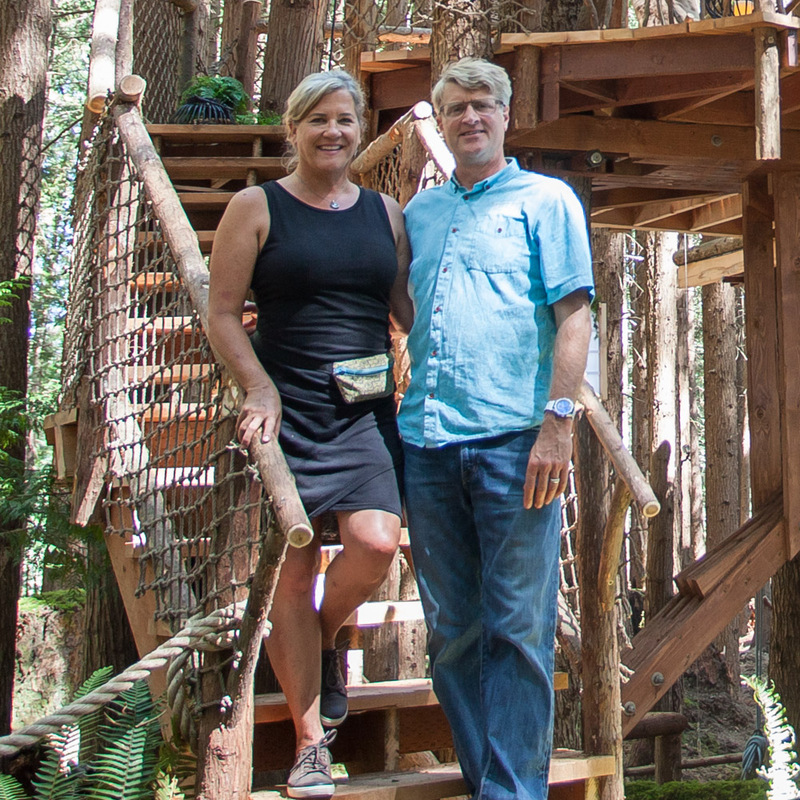 We bring you Pete Nelson’s 2018 Treehouse Calendar, replete with stunning images of treehouses from around the world. We might venture to say that this is our best calendar yet! Each month features a legendary treehouse with a full-page photo of the exterior and a secondary photo of the interior. We’ve packed this edition full of fan-favorites from Treehouse Masters, as well as a few epic builds that were never filmed for TV. This calendar is the perfect way to bring a bit of the treehouse life to your day-to-day. The crew loves these snapback hats for fall's finicky temperatures; they keep you warm on chilly days and cool on sunny days! Pete, Daryl, and the rest of the crew LOVE this Blaklader Tool vest since it keeps their tools close at hand while evenly distributing the additional weight on their body. This vest is the perfect thing to help you tackle those last-minute home projects before winter sets in. These patches remind us of heading back to school! They add treehouse flair to the plainest of backpacks and book bags. Cooler days means more time inside - this coloring book makes the perfect indoor activity for fall! 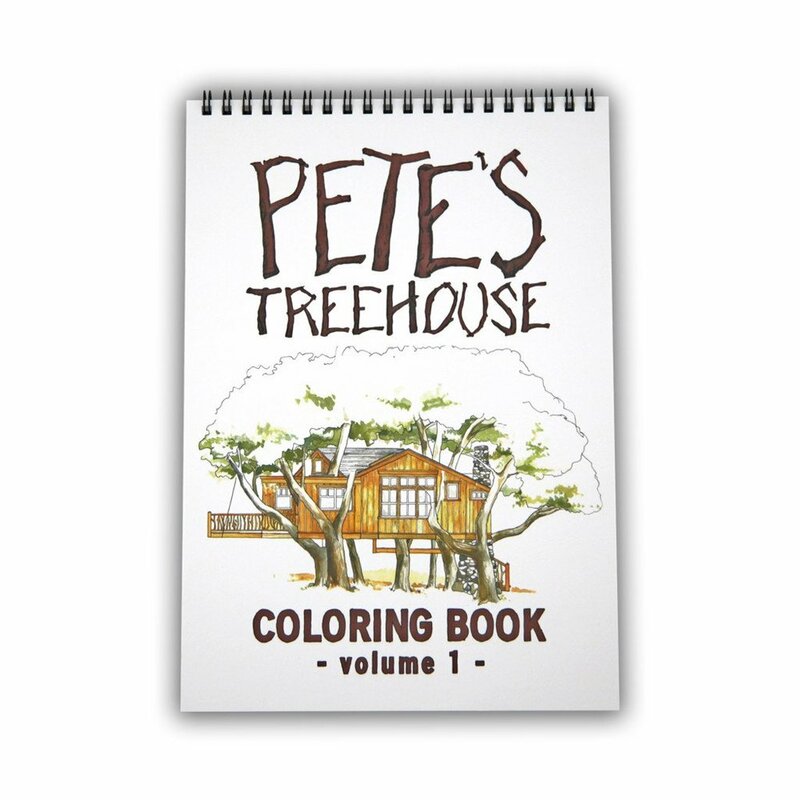 Filled with 14 of Pete's hand-drawn designs, treehouse enthusiasts of all ages will find coloring Pete's designs a fun, creative, and relaxing experience. The crew uses Be in a Tree notebooks all the time; their small size makes them perfect for quick notes, equations, and reminders. 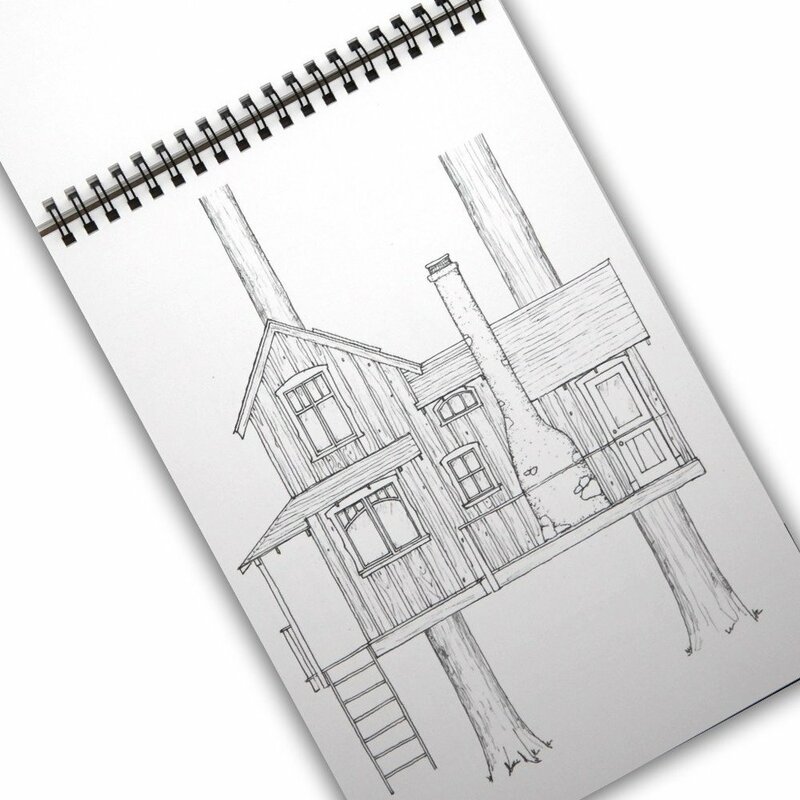 The gridded interior gives you flexibility with how you write your notes; it's even ideal for doodling treehouses! This soft hoodie is the perfect layer for fall. Made from organic cotton and recycled plastic bottles, this hoodie is environmentally friendly, made in the USA, and comfortable - it'll quickly become your favorite fall pullover! Show your Nelson Treehouse pride with this cozy and classic black crew neck pullover! It features our Temple of the Blue Moon patch and is amazingly soft. Let us know in the comments below which of these fall treehouse things are your favorites - we want to know!